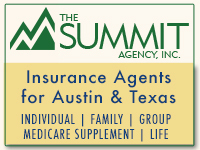 Individual Medical Insurance :: Summit Agency, Inc.
Why Have Health Insurance Brokers if We Have the Affordable Care Act? As the ACA continues to roll out, it’s becoming clear that health insurance brokers are needed to help consumers and small businesses navigate the changing regulations, health plan choices, and enrollment process. Health insurance brokers stand to become even more important to consumers and small businesses in the years ahead. 1. A lot more individuals will be buying coverage – for the first time. With the individual mandate, the individual health insurance tax credits, and the new individual health insurance marketplaces, a lot more people are buying individual coverage. And a lot more people are talking about health insurance. Proof point – When was the last time a US President tweeted about adding health insurance to the table conversation at Thanksgiving? So where do brokers fit in? Currently, studies estimate that only 36% of individuals work with a health insurance broker to purchase individual health insurance (whereas 68% of small businesses do). And yet looking at 2014 consumer enrollment numbers, there is a disconnect between uninsured Americans who look up health insurance information and those who successfully enroll per a NY Times study. Bottom line: For many of these new health insurance consumers, it’s their first time in the driver’s seat. Health insurance brokers are needed to help consumers understand options and help give them tools and knowledge to make a decision. 2. Small businesses need (and want) help navigating health reform. Bottom line: Businesses need a health reform expert to navigate regulations. Many brokers are filling this role as a consultant – and billing for it. Navigators are people and organizations hired by the public health insurance exchanges to help consumers learn about exchange health plans and enroll in coverage. Bottom line: Health insurance brokers are generally licensed, experienced professionals. Enough said.